Amsterdam makes being green cool. The city in the Netherlands is committed to environmental protection and sustainable urban development and is considered one of the most eco-friendly big cities in Europe. To that end, eco-conscious living is the norm and even fashionable. 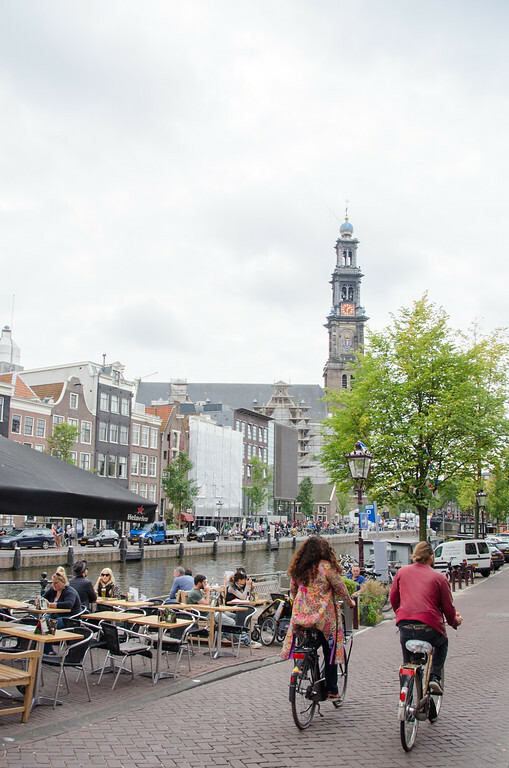 I had heard about the city’s environmental efforts before our recent trip to Amsterdam, so I decided to find some ways travelers can tap into this local experience. In doing so, I got a closer look at everyday life in the city and some of the things that make Amsterdam livable and unique. Bicycles are at the core of Holland’s green DNA. Amsterdam is sometimes called the “Bike Capital of the World”—the city has more bikes than people, and an estimated half of all local journeys are by bike. 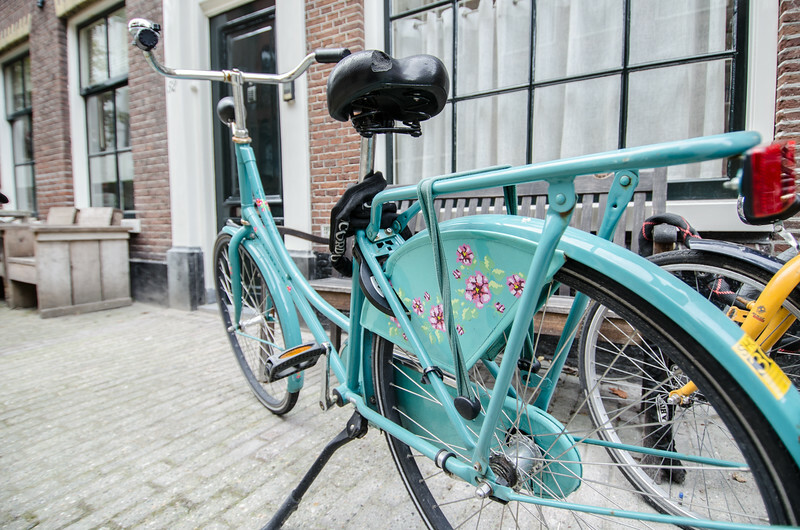 Cycling in Amsterdam is the easiest way to get around and see the city. Holland is famously flat, and the 17th-century city center was designed with pedestrians in mind. But the dedication to green transportation goes beyond that. 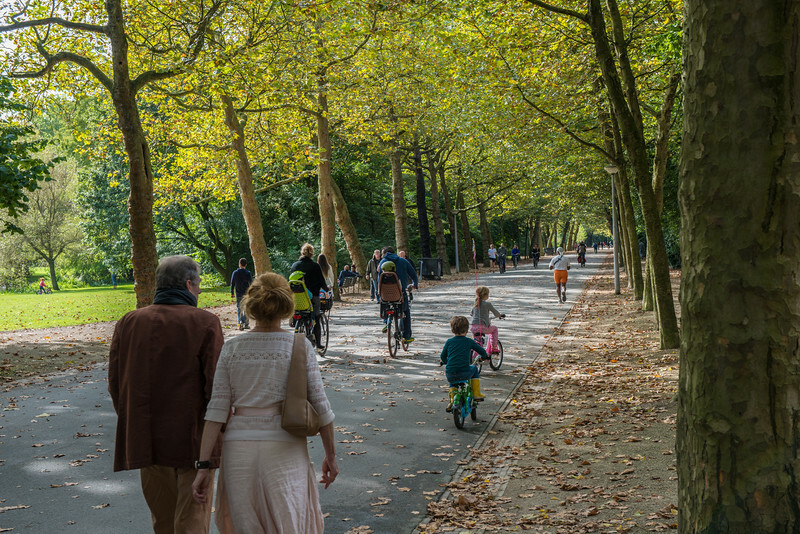 For decades now, the Netherlands has supported cycling infrastructure through incredibly smart urban planning, government investment, and tremendous public support—all prioritizing people-powered transportation over car-friendly development. There are 477 miles (767 km) of bicycle paths and bike lanes crisscrossing the city with more being built all the time. There are bike rental shops all over the city (including two different ones at Amsterdam Centraal train station), so rent a bike and get a view of the city as the locals do. The bike lanes in the city can be crowded and intimidating for inexperienced urban cyclists like me, so if you are similarly cautious, consider taking the bike out into Amsterdam’s Waterlands, a network of suburban and rural communities north of the city where the streets are much less crowded. Alternatively, Amsterdam’s public transportation network of trains and metro streetcars is a great way to get around the city quickly. If you are only traveling for a short time in the city, consider getting a one-, two-, or three-day Iamsterdam city card that offers free public transport on all GVB (local buses and metro cards), reduced price bike rentals, and free entry to dozens of popular museums and attractions. Amsterdam has lots of urban greenspace, most notably Vondelpark, a popular public park crossed by bike paths, scenic ponds, fountains, monuments, and an open-air theater. The park is especially crowded on sunny days when locals come out to walk, bike, play, or just lounge in the sun. One of my favorite adventures was renting a bike at Amsterdam Centraal, taking the free ferry across the IJ river and then touring the quaint villages in Amsterdam’s Waterlands, as mentioned above. Other options are Spaarnwoude and protected wetland park between Amsterdam and the city of Haarlem. 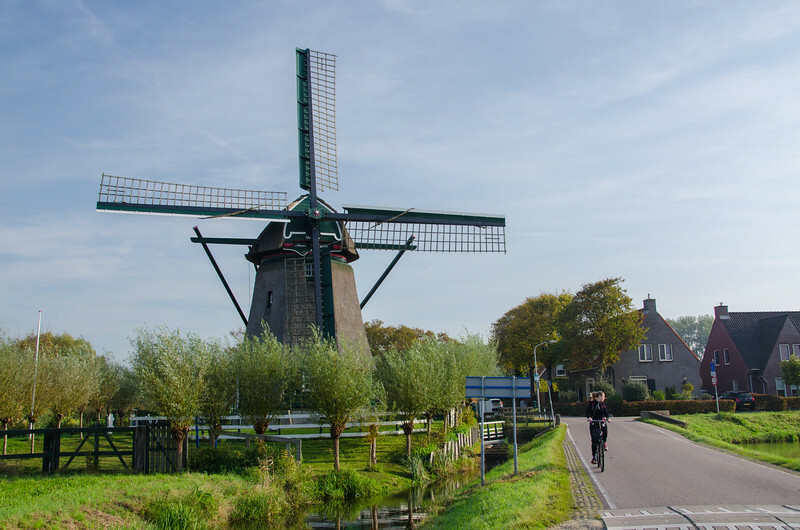 It’s a great place for hiking, birdwatching, and getting a chance to see historic windmill Moulen de Veer. 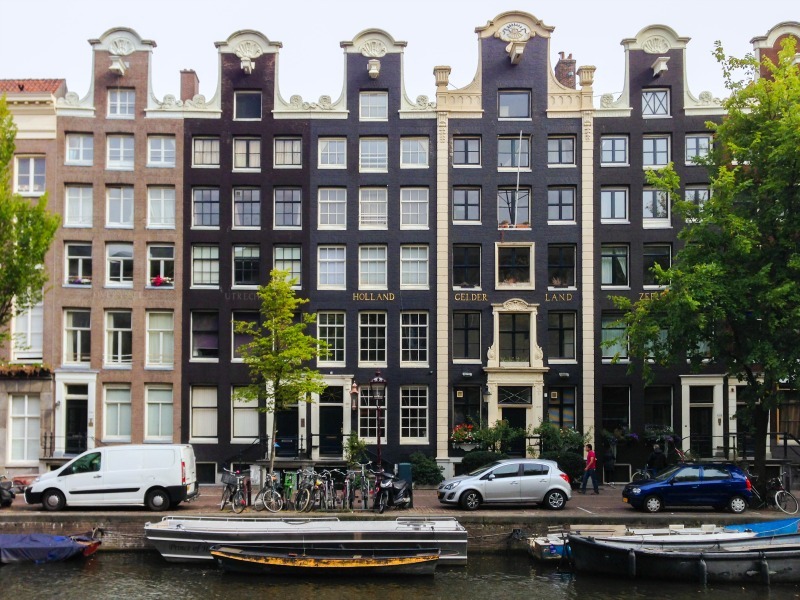 The formerly working-class, now trendy Jordaan neighborhood surrounding Amsterdam’s inner canals is filled with art galleries, high-end shops and restaurants, and photogenic canal-side vistas. There are lots of sustainable shopping options in this area, such as Nukuhiva, a clothing boutique that carries only fair trade, eco-friendly, and recycled fashions. Amsterdam’s hip and green crowd scour the market stalls at the city’s many busy markets, including Albert Cuypmarkt. 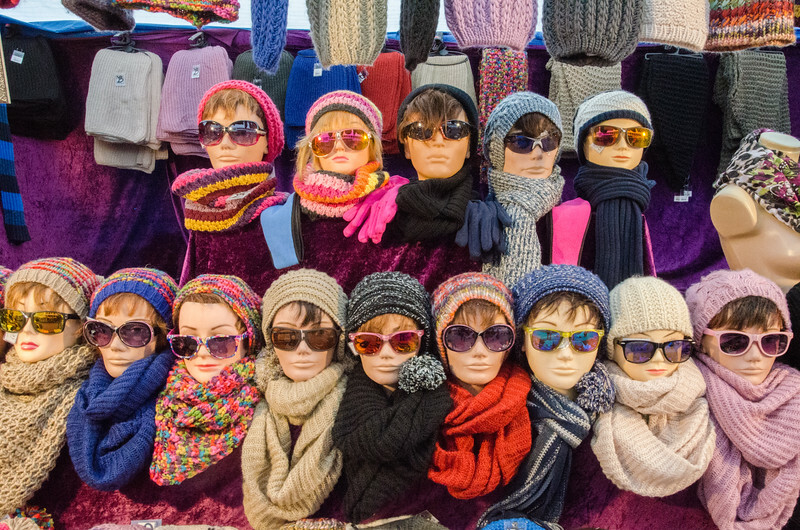 The daily Waterlooplein and twice-weekly Noordermarkt have lots of secondhand stalls. Episode (at Waterlooplin and Berenstaat) is another popular vintage store. Artis Royal Zoo uses 100 percent renewable energy and rainwater instead of tap water, and it recycles waste by selling it as fertilizer to local farmers. The zoo even uses responsibly harvested fish to feed its animals. The Gooyer windmill is the last traditional Dutch windmill in Amsterdam and, curiously, is now home to one of the city’s top all-organic craft brewers, Brouwerij ‘t IJ. You can even tour the brewery (when we were there, it was closed for remodeling). 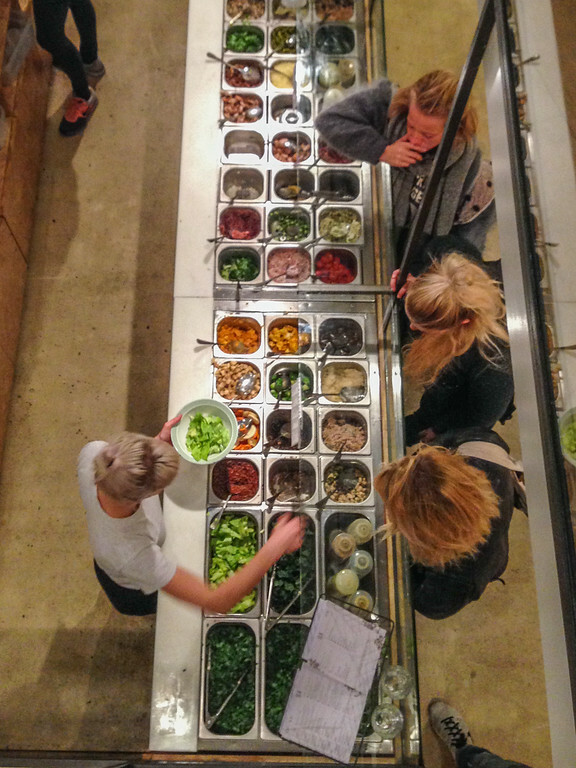 When it comes to eating green, get a quick and healthy made-to-order salad at SLA (“lettuce” in Dutch), a trendy restaurant in the Jordaan that uses top-quality and organic ingredients. For a fancier night out, we splurged on a meal at Hemelse Modder. The restaurant features a frequently changing seasonal menu with a focus on organic, sustainable, and (whenever possible) local foods. Travelers with dietary restrictions should check out Vegabond, a food market/sandwich shop/juice bar that specializes in vegetarian, vegan, and gluten-free foods. The café is based in a historical canal house on one of the inner canal rings, so it’s a scenic place to stop for a healthy snack. For buying a wider variety of snacks, or stocking up to cook on your own, look for Marqt, a green and organic (biological) supermarket. There are several locations throughout the city. Conscious Hotel is an eco-friendly hotel brand with two properties in Amsterdam. I stayed at Conscious Hotel Vondelpark (Overtoom 519), adjacent to the city’s biggest park. 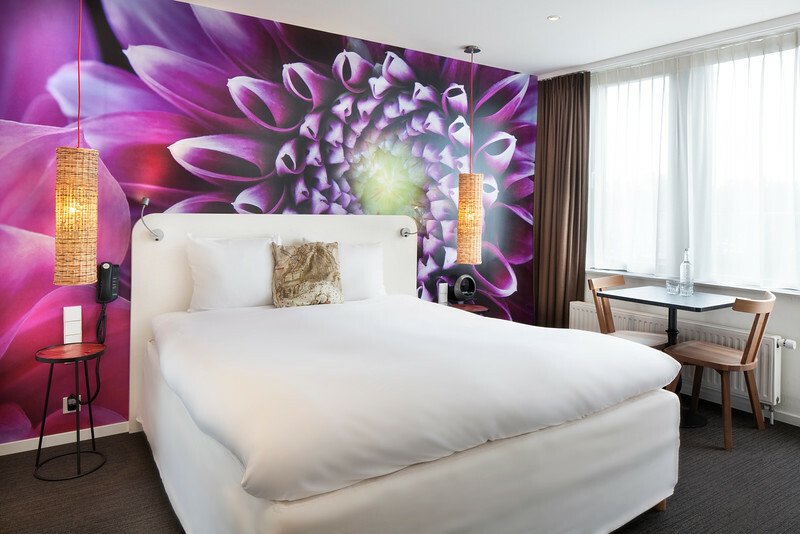 The rooms are stylish and comfortable with bright graphic wall art and quirky accents, such as a throw pillow printed with a historic map of Amsterdam. The hotel’s biggest selling point though is its long list of sustainability features, including energy-saving LED lamps, natural beds and bed-linen, and desks made out of recycled yogurt cups. The comfortable bar and common area gives the feel of hanging out in a cool cafe, not a boring hotel lobby. The bar features several organic beers on tap, fresh-squeezed juices, and lots of green and local beverages. It even offers a 100-percent organic breakfast. I spent a lot of time in that lobby, lounging on the quilted window seats while drinking coffee and kombucha and catching up on work. 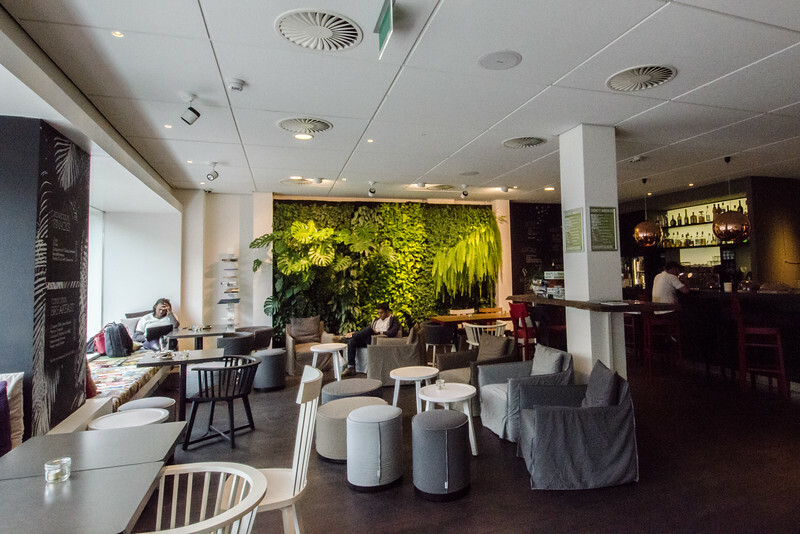 At check-in, ask for a copy of the “Conscioussaurus,” the Conscious Hotel’s green guide to its properties and Amsterdam. This handy little booklet is a comprehensive introduction to the city, including a tourist map, a sightseeing by bike route map, and a list of green local shops and hotels.